As Phil Schiller joked during today’s Apple event, we knew the company would release something with “mini” in the title, and we certainly were right. In fact, Apple not only released the new 7.9-inch iPad mini, but also a new version of its Mac mini with an Ivy Bridge processor. Starting at just $600, the Mac mini is Apple’s smallest, most affordable Mac. Still the world’s most energy efficient desktop, according to Apple, the Mac mini now comes in two new styles. First, the $600 option will give you a 2.5GHz dual-core 15 Ivy Bridge processor, 4GB of RAM, and 500GB HDD. You can also get a 1TB version for $800. If you’re looking for something a little more powerful, there’s the $1,000 Mac Mini with OS X server option, which has a 2.3GHz quad-core Intel Core i7 Ivy Bridge processor, 4GB of RAM, and two 1TB hard drives. The updated Mac mini will feature a plethora of ports, including Thunderbolt, SDXC, Gigabit Ethernet, and FireWire 800. The third-generation dual-core Intel Core i5 and quad-core Intel Core 97 processor are up to twice as fast as the previous models. The device features Intel HD Graphics 4000, delivering up to 65 percent more pixels than the previous generations and a faster, smoother, more responsive gaming and movie-watching experience. The Mac mini was clearly not Apple’s star of the show. The company hasn’t even updated its press page with new photos and a press release, though they made sure to do so for the iPad mini, 13-inch MacBook Pro with Retina Display, and iMac. 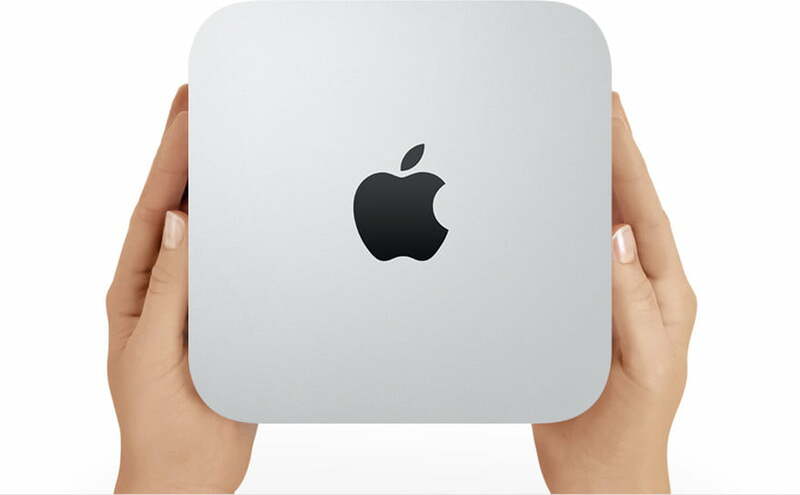 The Mac mini ships today, so let us know what you think if you get your hands on one of them.